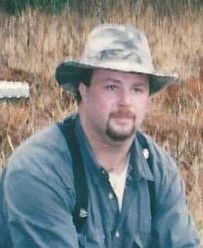 Lenny James Clontz, 37, a lifelong Skagit Valley resident, passed away at his home in Sedro-Woolley on Tue., Feb. 26, 2013, surrounded by his loving family. Lenny was born Oct. 23, 1975, in Sedro-Woolley, the son of Steven Clontz and Barbara (Hyler) Clontz. He was raised and attended school there, graduating from Sedro-Woolley High School with the class of 1994. Lenny was united in marriage to Jenny Wilson in Mount Vernon in 1994, and they made their home and raised their family in Sedro-Woolley and Concrete. He worked in the timber industry most of his life; first working on the green chain for Sedro-Woolley Lumber and then at Northwest Hardwoods for many years, recently retiring as a supervisor due to a work-related injury. First and foremost his children were his joy in life, after which he enjoyed hunting, fishing, crabbing, working on and racing cars, and living life to the fullest. Lenny is survived by his son, Jordan, Jordan’s companion, Kalysta Becker, and his daughter, Melissa Clontz, all of Concrete; his mother, Barbara Parker and his father Steven Clontz, both of Sedro-Woolley; two sisters, Toni Nurmi of Sedro-Woolley and Misty Jones of Lyman; his former wife, Jenny Wilson-Clontz of Concrete; his grandmother, Marie Hyler and great uncle, Sam Reece of Sedro-Woolley; uncles, Jim and Richard Hyler; aunts, Gladys Long, Janice Inman, and Patty Cook; and several other extended family members. A Celebration of Life will be held at the Inspire Church, 805 Township St., Sedro-Woolley, on Sat., March 9, at 1 p.m. A potluck fellowship will immediately follow at the church. In loving living memory of his father, Steven Clontz, Lenny requested memorials be made to North Puget Cancer Care at United General Hospital in Sedro-Woolley. Cremation arrangements and services are under the direction of Lemley Chapel, Sedro-Woolley. Share memories of Lenny and sign the online guest register at www.lemleychapel.com.